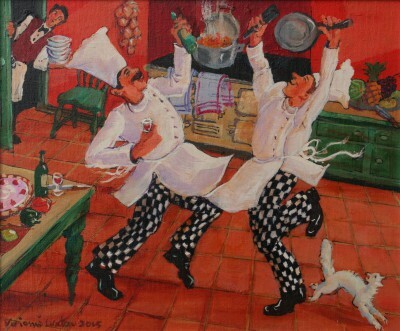 Right now we are waiting for new Vivienne LUXTON Art to arrive at the gallery. In the meantime, here is a selection of the artist's archived art work which has featured at Red Rag Art Gallery. 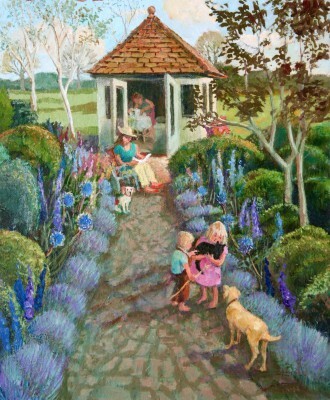 If you wish to register to receive updates and alerts when new art work from Vivienne LUXTON arrives select this link. 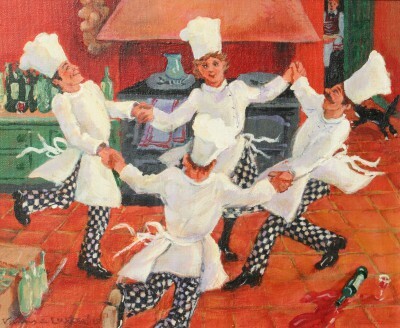 Vivienne Luxton was born in India in 1942. She studied at St Martin's School of Art in London and did her post-grad at the RCA School of film & TV gaining an MA in 1966. 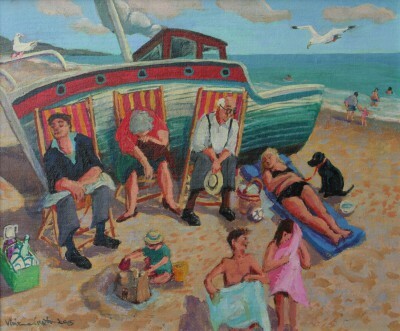 She then spent some years in the film industry before moving to Gloucestershire where she taught art for 17 years. 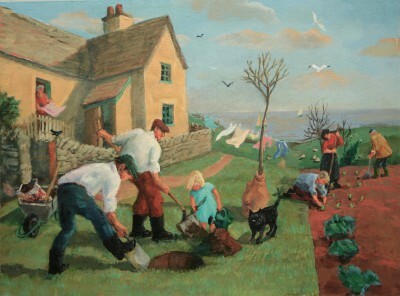 In 1992 Vivienne Luxton moved to live on a farm in Wales.The farming community often features in her art work. 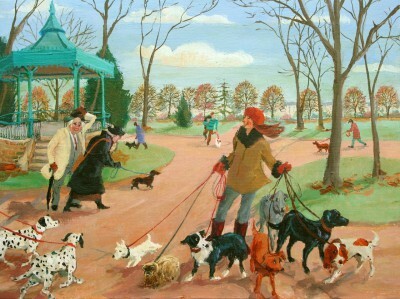 She likes to produce paintings of people in all walks of life, at work or at leisure, and there is often humour in her subjects. 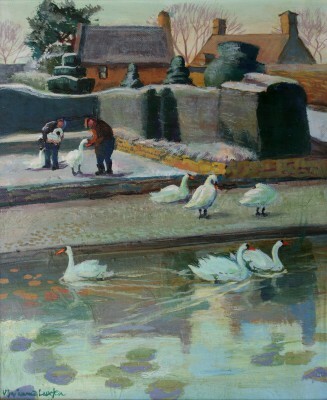 Inspiration for her paintings are both from the imagination and from first hand experience. 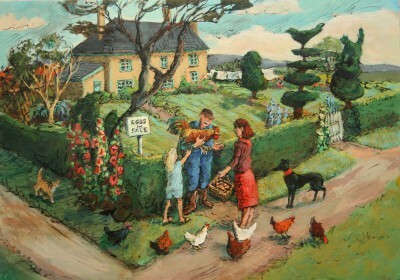 As a the wife of a Farmer, Vivienne has had many opportunities to observe and sketch farmers and animals on the farm. 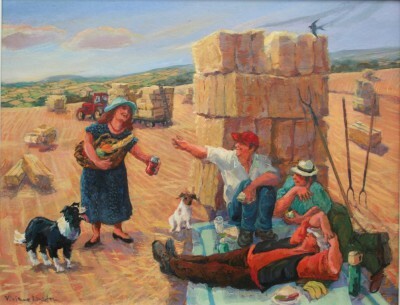 She is also a keen observer of market scenes many of which feature in her country-focused paintings. 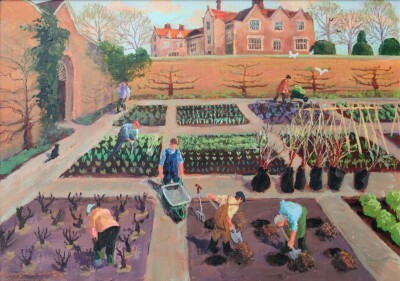 Vivienne's ink and watercolour paintings reflect her observations of country interactions, while her work paintings in acrylics demonstrates her love of colour.Her art work is in both private and public art collections in the UK and abroad. 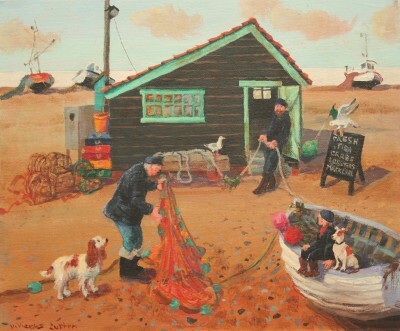 In addition to Red Rag art gallery Vivienne Luxton art work has been exhibited at other leading British Art Galleries including the Royal Academy and at the Royal West of England Academy. 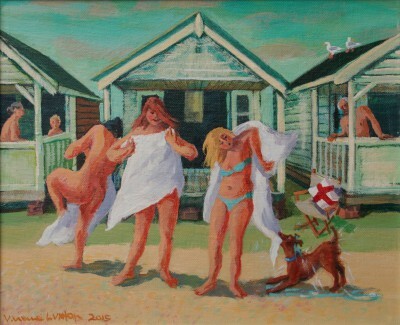 Each painting at Red Rag is sourced from the Vivienne Luxton artist studio and like all Red Rag British art and Contemporary art it can be shipped worldwide.